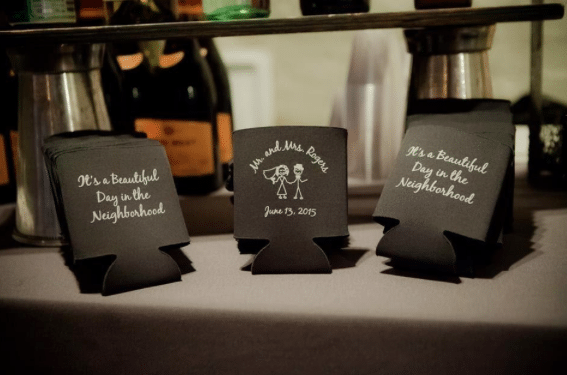 Personalized Koozies have turned into THE HOTTEST wedding staple the last few years. 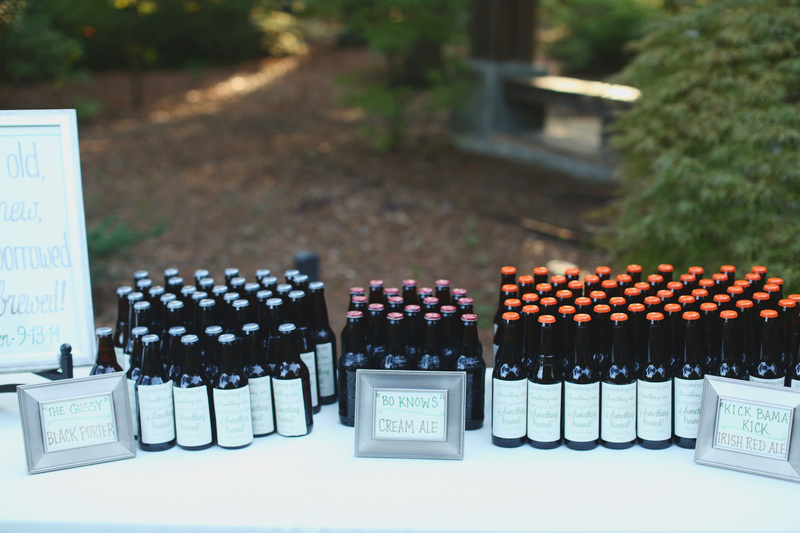 Not only do they keep your hand from becoming ice cold as you hold your beverage, they have the magical, saving-grace power of hiding those rather unsightly bottles and cans from being splashed all over your wedding album. Another great thing: they are budget friendly and customizable. Delectable goodness wrapped up into sweet tiny packages. 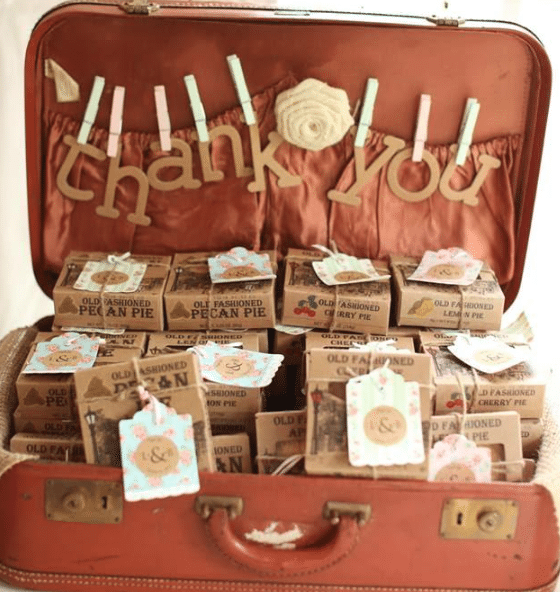 The great thing about edible treats is the ability to share a small piece of your favorites with your guests. The options are limitless. We have seen so many unique treat favors: Moon Pies, Cookies, Mini-pies, Oatmeal Creme Pies, Smore kits, Caramel Apples in the Fall. Candied Apples (as a Bridesmaid, I helped make these one time for one of my best friends. It ended with the fire alarm going off and a tragic, sticky mess). 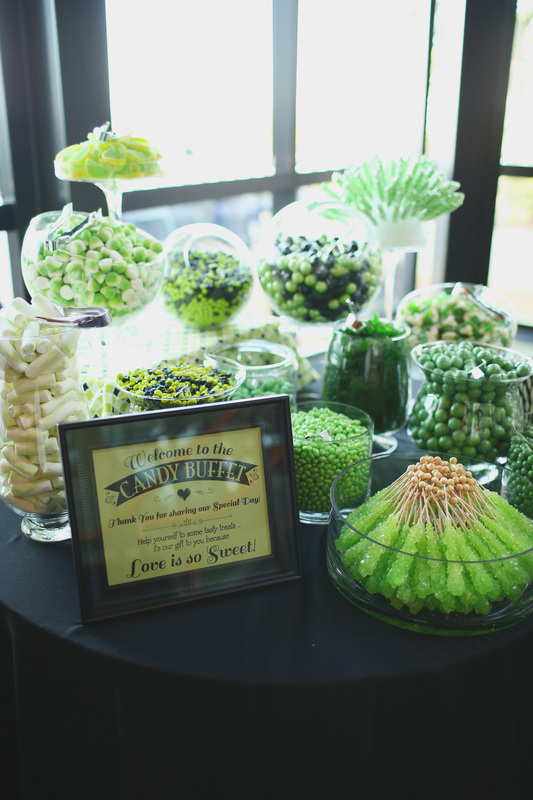 One of our favorites was the most amazing candy buffet you have ever seen. I don’t know about you, but when it comes to favors, edible ones are our favorite. 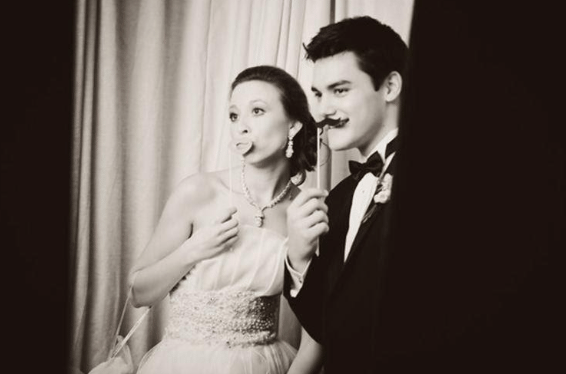 Becky’s Brides couple, Megan and Adam, had the most amazing Candy Buffet. Guests were given Chinese Take-out boxes to carry their treats home. 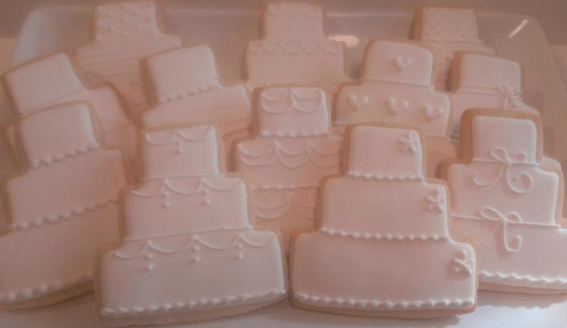 Cookies by Meredith in Pelham, Alabama does a fabulous job creating unique cookies to fit any wedding theme. Photo booths have been huge in 2015. We live in a social media driven world, and what better than being able to unplug for a night, have some fun and bring home a print, in hand? Another great thing about having a Photo Booth as a part of your wedding is that it doubles as a portion of your entertainment. 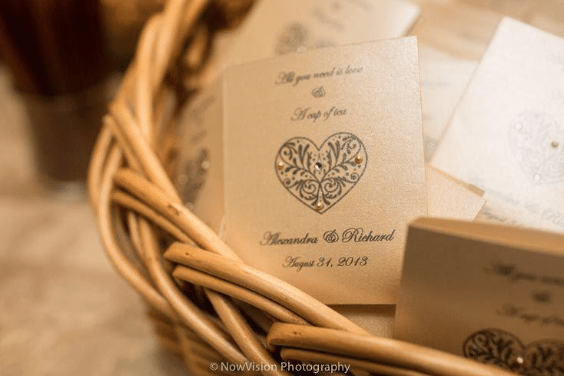 Whether it be teabags, mini wine bottles, Coca-Cola in those classic glass bottles, or personalized bags of coffee, this wedding favor is aimed to please. True story: one morning a few days after a friend’s wedding, I woke up and someone had broken in and stolen the remainder of my coffee (ok, or maybe I have a coffee addiction and the grocery store is high on the list of things I loathe). I remembered that we had received a miniature sized bag of ground coffee as a wedding favor, and guys, it literally saved my day. This is one favor that will not fail you. Just think, you may save someone else’s life (or at least their Monday morning). Multicultural traditional favors never go out of the style. 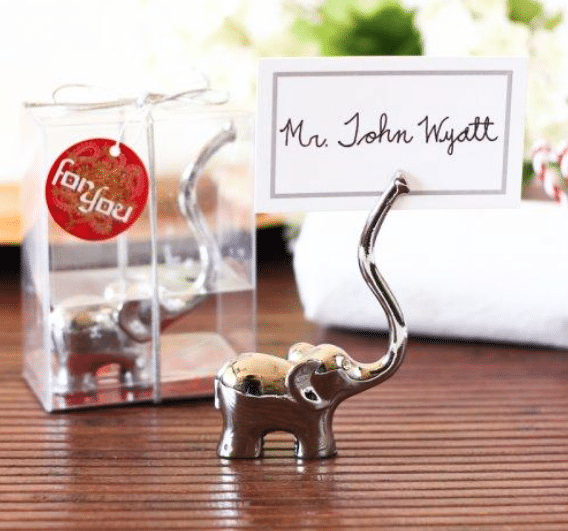 For the Indian wedding, The Lucky Elephant is given as a token of good luck. 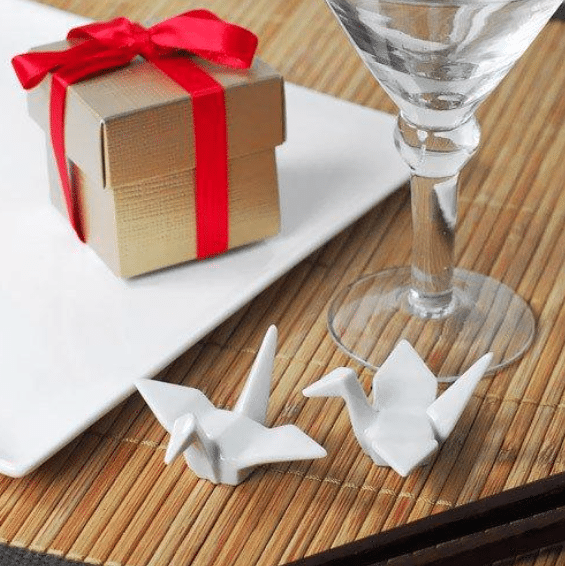 For the Japanese wedding, Origami Cranes. 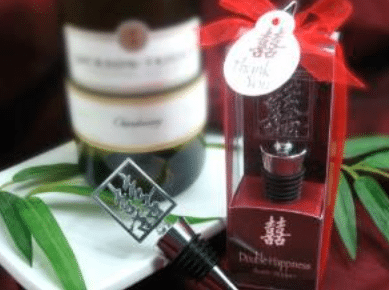 For the Chinese wedding, the color Red along with the Chinese “xi” symbol, meaning double happiness, is known to wish the couple a happy life. Favors incorporating these traditions is ideal for the Chinese bride. Over at Becky’s Brides, we love to see the diversity amongst different cultures. 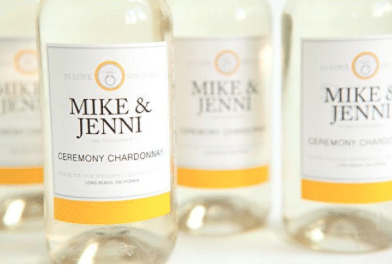 So there you have it friends, Becky’s Brides Top Five Wedding Favor picks for 2015. Guest Posts, Tracking Trends. permalink.